The milky waters of the Khandepar River, a tributary of the Mandovi, plummet 310 m from a lofty ridge bisected by a railway track and a fairytale bridge. Straddling the Goa-Karnataka border deep within Bhagwan Mahaveer Sanctuary (Mollem National Park), Dudhsagar (Ocean of Milk) is India’s fifth highest waterfall. The Vasco-Madgao-Londa railway line runs right near the falls, accessible from Castle Rock (near Tinai Ghat in Karnataka) or Collem (6 km off Mollem, 57 km from Panaji). The 12 km trek from Collem follows the railway track but the cross-country dirt track ride cuts across streams. Local bikes charge Rs.300/head for a return trip in monsoon (Jul-Sep), while jeeps ply in November. Stay at Dudhsagar Resort near Mollem checkpost. In the dense mist, crystal water gurgles from Shiva’s ancient cave shrine of Hiranyakeshi, a source of the Krishna River. 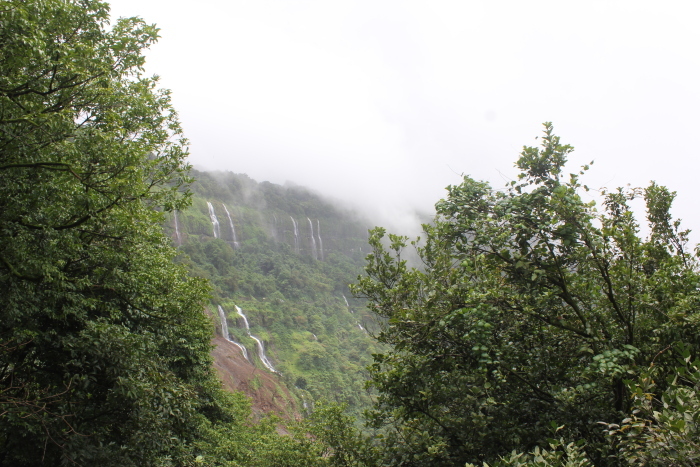 Perched at 690 m in the Sahyadris off the Konkan coast, this eco hotspot turns magical in the monsoon with seasonal waterfalls and incredibly high rainfall. Teeming with over 300 species of rare plants like basket karvi or aakara (Marathi for eleven) which flowers once in 11 years, Amboli became a British outpost on the road from Vengurla port to Belgaum for garrisons in Central and South India. It is believed that a dhangar (shepherd) who guided the British along the treacherous pass was killed after revealing his secret. Today, he is worshipped as the village guardian at a small shrine on Amboli Road near Sawantwadi (28 km). Stay at Whistling Woods Amboli with naturalist and reptile expert Hemant Ogale for a rewarding experience. 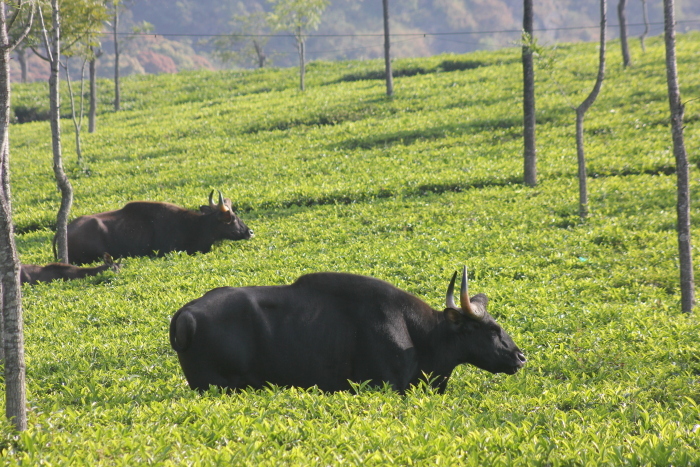 The highest mountain range between Himalayas and Nilgiris, Baba Budan Giri is the birthplace of coffee in India. Worshipped by Hindus as Chandradrona Parvatha, where Dattatreya, Sage Atri and Anusuyya performed penance in a cave, it is also revered by Muslims as the grave of a mystic and his disciples. In 17 century Baba Budan went on a pilgrimage to Mecca and was captivated by the tantalizing aroma of coffee in Yemen. As the story goes, in 1670 he smuggled seven coffee seeds in his robes and planted them in this corner of Karnataka. From here the coffee plant, a closely guarded Arab secret, spread across India. Trace the journey from berry to cup at Chikmagalur’s Coffee Museum, climb Karnataka’s highest peak Mullayyanagiri (6,314 ft) or trek from Baba Budan Giri to Kemmannagundi via Galikere. 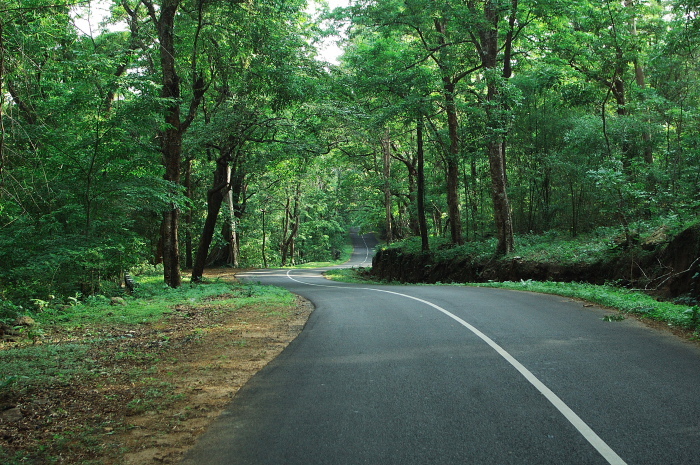 Stay amidst nature at plantation estates like Nature Nirvana, Hunkal Woods and Villa Urvinkhan. With one of the country’s best-maintained national parks at Nagarahole, the highest density of devarakadus (sacred groves) in the world and the source of South India’s holiest river Cauvery, Coorg is indeed special. It is the largest producer of coffee and honey in India, besides spices like cardamom and pepper. Scenic plantations, charming estate bungalows, and riverside resorts coupled with irresistible Kodava hospitality and cuisine make it a favoured holiday spot. Trek through wild tracts in Pushpagiri, Brahmagiri and Talacauvery wildlife sanctuaries, scale Coorg’s tallest peak Thadiyendamol, visit waterfalls like Irpu, Abbey, Chelavara and Mallali or go white water rafting with Southern River Adventures on the Upper Barapole River. For other adventure sports, contact Crimson Eye and Jungle Mount Adventures. Tilt the Rainmaker and its cascading seeds emit the sound of water. Swing the Binsi, a reed instrument for a whistling note. These astonishing bamboo products from Uravu near Kalpetta capture the tribal legacy of Wayanad. Trek past the Stone Age engravings of Edakkal Caves to the top of Ambukuthy Range, watch dholes chasing deer at Tholpetty Wildlife Sanctuary or search for the Wayanad Laughing Thrush at Muthanga. Scale Banasura Hill overlooking India’s largest earth dam from Banasura Island Retreat or Silver Woods. Spot gaur in the hikes around Fringe Ford, a wild 500-acre plantation at Makkimala or DTPC’s Tea County near Mananthavady. Climb Chembra Peak (2100m) and get pampered at Sunrise Valley and Meenmutty Heights while exploring waterfalls like Meenmutty and Soochipara. 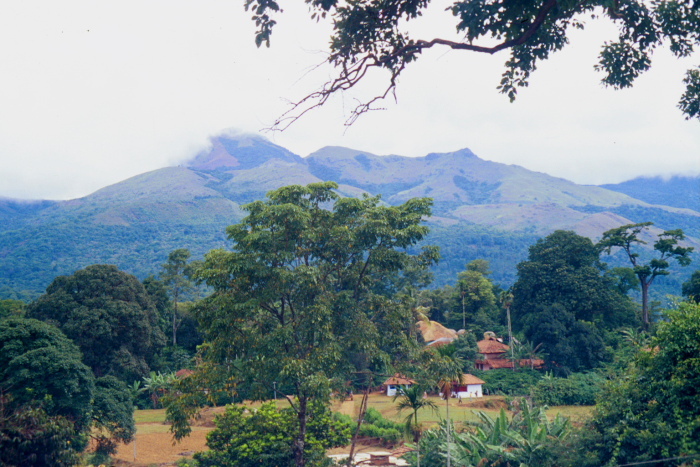 Home of ancient hill tribes, the Nilgiris (Blue Mountains) transformed into the summer retreat of the British in South India by 1827. The 46 km ride from Mettupalayam to Ooty in the heritage Nilgiri Mountain Railway presents stunning views. Studded with churches, lakes, botanical gardens, tea estates and viewpoints, Ooty’s elite clubs laid down the rules of snooker. Climb Dodda Betta (8650 ft) or drive from Ooty to the stunning lakes of Emerald, Avalanche, Upper Bhavani, Parson’s Valley and Porthimund into Mukurthi National Park. Explore the joys of farm life at Destiny Farm and Acres Wild, an organic cheese-making farm. Wallwood Garden, Kluney Manor, Regency Villas and Savoy (Ooty), La Maison and Sunshine Bungalow (Kotagiri), boutique luxury stays at O’land Estate and De Rock (Coonoor) and bungalows run by Serendipity and Glendale are ideal colonial-style getaways. For wild honey, beeswax balms, Kurumba paintings, Toda shawls and agro products hop over to Green Shop (www.lastforest.in). 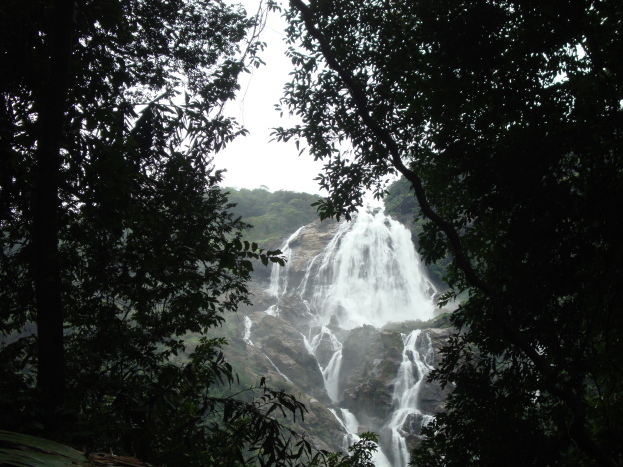 Famous as the locale where Aishwarya Rai cavorted under a 42m high waterfall in Guru and Ravana, Athirapally’s adjoining Vazhachal Forest is the second most bio-diverse area in Kerala. As the only place in the Western Ghats where four endangered hornbill species can be seen, the International Bird Association declared it an Important Bird Area. 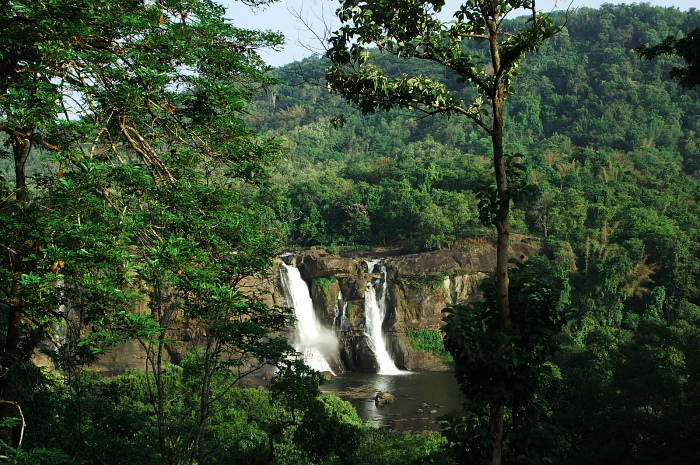 The forest harbours the Lion-tailed macaque, Malabar squirrel, Malabar Giant turtle and Cochin Forest Cane turtle, among other endangered species while the Chalakudy River supports an enviable count of 104 species of fish. Besides Charpa (3 km) and Vazhachal Falls (5 km), drop by at the Forest Information Centre, museum and showcase of rare medicinal plants. 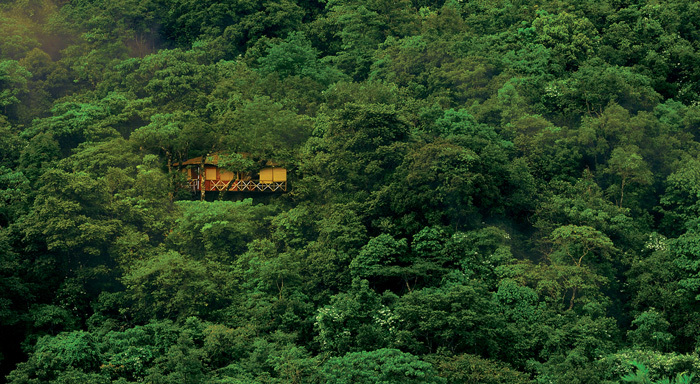 Stay at Rainforest Athirapally where each room offers an undisputed view of the 220m wide cascade and visit a tribal settlement at Pokalappara for wildlife sighting and tapioca-fish meals smoked in bamboo. One of the best-preserved tropical evergreen rainforests in the world, the 90 sq km park forms the core of the Nilgiri Biosphere Reserve. 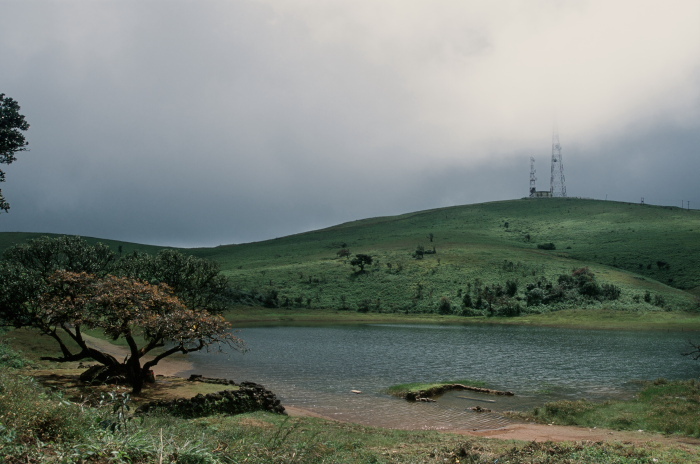 Named after the absence of cicadas, Silent Valley’s geographic isolation allowed it to evolve into an ecological island. Topping the list of 960 flora is the giant tree fern Dinosaur pulpan dubbed as a ’50 million-year-old living fossil’. The park’s flagship species, the lion tailed macaque lives in the towering Culinea trees. After a long crusade against a hydroelectric project, the fragile zone was declared a National Park in 1985. Mukkali, the park’s entrance, is unique as all three species of Crow butterflies can be found here – common crow, double branded crow and brown king crow. A 23 km jeep ride takes visitors up to Sairandhri where a 30 m high tower offers panoramic views. A 1½ km walk leads to a rusty steel bridge on the Kuntipuzha River. Stay at the Mukkali Forest Rest House or thatched tribal huts at Malleeshwaram Jungle Lodge, named after the peak that dominates the park. The majesty of Nelliyampathy Hills (3,500 ft) slowly unfolds along the mountain road from Nemmara, winding past 10 hairpin bends towards Kaikatty. It was the Maharaja of Cochin who leased vast tracts of dense jungle to the British for tea cultivation. Soon Nelliyampathy oranges were being exported to Buckingham Palace. Today, the derelict Victoria Church stands on a lonely cliff surrounded by forests and tea estates. 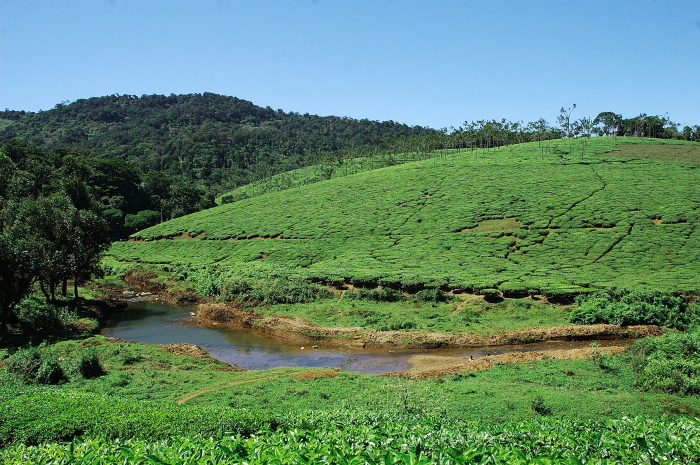 A short walk from AV Thomas tea factory is Kesavanpara, a rocky escarpment overlooking Poothundy Dam. But the ultimate adventure is the 18 km jeep ride from Pulayampara to Manpara (Deer Rock). If you survive the bone-breaking drive over boulders, visit Suicide Point near Seethargundu, Katlapara Waterfalls, Karapara Dam and Karassuri viewpoint. Stay at Ciscilia Heritage and Whistling Thrush Bungalow while chasing butterflies and endemic birds like Nilgiri Flycatcher, Broad-tailed Grassbird and Nilgiri Pipit. 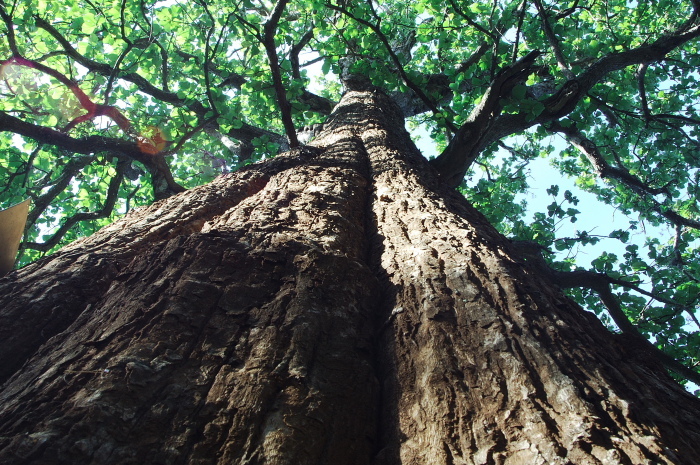 The 450-year-old Kannimara Teak, believed to be the largest in Asia, rises up 48.5 m. With a girth of 6.57 m, it takes five men to encircle the giant. Not all of the park’s treasures are easy to see – the tiny Parambikulam Frog, the endemic fish Garra surendranathanii to the saprophytic plant Haplothismia exanulata. Wrapped around three dams that create a 20.6 sq km reservoir with Karimala Peak (1439 m) as the park’s highest point, Parambikulam is a scenic park. Eco-tourism packages range from jeep safaris, bamboo rafting, birdwatching and guided walks to overnight camping inside the forest. Trekkers will enjoy the Kariyanshola Trail while the Cochin Forest Tramway Trek showcases relics of the British timber trade. Stay in treetop huts overlooking the reservoir, Swiss-style tents or a bamboo hut on Vettikunnu Island, accessible only by boat. Authors: Anurag Mallick & Priya Ganapathy. This article appeared in the August 2012 issue of JetWings magazine. Despite a 7,000 km coastline and 1.2 billion people, the only ‘surfing’ most Indians prefer is on the internet. 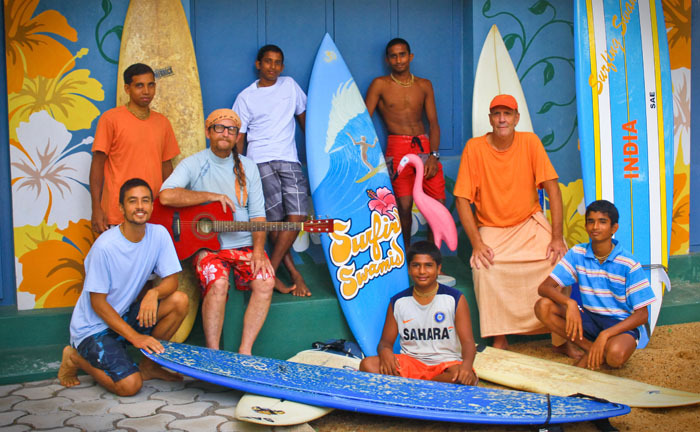 But Kaliya Mardana Krishna Ashram (aka Ashram Surf Retreat) at Mulki promises adventure buffs the real deal. Run by Krishna bhaktas, the retreat offers everything an ashram should – yoga, mantra meditation, healthy veg fare (served as prasad), detox (no smoking/alcohol allowed), plus something unique – surfing lessons! Ride the Zodiac boat to local surf breaks like Baba’s Left, Tree Line, Swami’s and Water Tank. With only 3 guest rooms and sparse beaches, it’s the ideal place to flounder in perfect anonymity. He reached for a cola can in Tarsem Singh’s Coke commercial. He helped the five heroes in The Fall escape from Butterfly Reef Island. And now, all of 61, he accompanies guests of Barefoot Resorts on occasional swims or leisurely walks on Asia’s best beach, Radhanagar. Meet Rajan aka the Swimming Elephant, the most famous pachyderm in the Andamans. Snorkel and scuba dive at Elephant Island (Hathi Tapu), kayak the mangroves, walk through rainforests and indulge yourself at a plush seaside retreat ranked among the 30 Best Eco Resorts in the World. Lead the lazy life of a planter in a chang bungalow (traditional house on stilts) on the quiet outskirts of Dibrugarh. Specially designed horse-riding tours take you around century old tea estates or cross-country along the banks of the Brahmaputra River. Picnic on grassy banks, boat cruises and kayaking or extend your itinerary to visit the ancient Ahom capital of Sibsagar and the wildlife preserves of Kaziranga and Dibru Saikhowa. Purvi Discovery runs another lodge closer to town called Chowkidinghee Chang Bungalow. Take a dip in India’s holiest river in a unique festival that marks its descent from the heavens to earth. The annual Ganga Dussehra is held over 10 days at locations sanctified by the course of the river. Be it Haridwar (where Ganga first enters the plains), Garh-Mukteswar (the nearest Ganga ghat to Delhi), the holy confluence of Prayag or the ghats of Varanasi, each place comes alive with celebration. Devotees bathe in the river, meditate on its banks, collect gangajal (sacred water) and river clay while the waters dance with the light of a thousand aratis (lamps). The first race of the harvest season, the Champakulam vallam kali is Kerala’s oldest and most popular boat race. Around 1545, when it was discovered that the Krishna idol being installed at the Ambalapuzha Temple had a defect, the Raja of Champakaseri ordered for a new one. In transit, the idol was kept for a night at a Christian household in Champakulam and sent the next day with great pomp on a flotilla of festooned chundan valloms (snake boats). The king announced a great water carnival to commemorate the deity’s installation and the secular ceremonies have continued unchanged for 500 years. After Champakulam, it’s the turn of Punnamada Lake to resound with cheerful vanchi pattu (boat songs) and racing chants of ‘arpu’ ‘irroh’ during Nehru Trophy Boat Race on the second Saturday of August, followed by the Aranmula race in Aug-Sep.
Jet Airways flies to Kochi, from where Champakulam is about 85 km (15 km from Alappuzha). A revered Shakti peeth, Guwahati’s Kamakhya Temple is where the yoni of Sati is worshipped. When the Brahmaputra river is in spate, the natural spring flowing over the stone shrine becomes turbid with red oxide, symbolizing the menstrual course of goddess Kamakhya. During the annual Ambubachi Mela or Ameti, the temple is shut for three days and devotees shun pujas, cooking, farming and reading scriptures. After a ritual bath the devi regains her purity and devotees rush in for prasad – angadhak (holy spring water) and angabastra (stained red cloth of the deity). Thousands attend this fertility festival, including saffron-clad Sadhus and Sanyasins, black-robed Aghoras, Khade-babas, Bauls (Bengal’s minstrels) and Tantriks. Surath, a tiny village in Bihar’s Mithila region, believed to be the venue for Sita’s svayamvar, plays host to a unique mass marriage mart for Maithil Brahmans. Saurath Sabha Gachchhi (literally, ‘congregation in an orchard’ in Maithili) is held in a 22-bigha patch donated by the Maharaj of Darbhanga. Participating villages are allotted a dera (sitting place) where fathers search for suitable grooms for their daughters aided by ghataks (middlemen). Marriages are fixed in the open after matching horoscopes by panjikars (registrars), who issue an asvajajanapatra (certificate of non-relationship) based on panji (genealogical records), a system dating back to early 14th century. The only catch, ladies are not allowed at the Saurath Sabha! Every monsoon, on the remote Goa-Karnataka border, the Khandepar River tumbles down 310 m as India’s fifth highest waterfall – Dudhsagar. 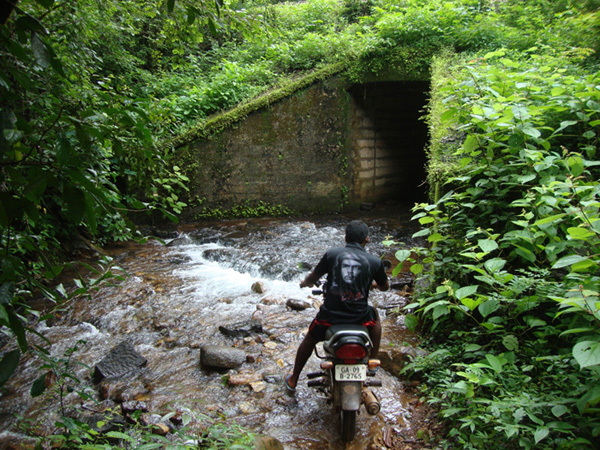 With the jeep track cut off by two streams, the only access is on hired bikes and your last hope – the ‘Dudes of Dudhsagar’! Clad in slippers and shorts with little protection, ace bikers from Collem rev up the mountainside to cover a 14 km obstacle course – along railway tracks, on ballast, through slush, culverts and mountain streams. After a short trek over slippery rocks, you finally arrive near the base for a jaw-dropping view. At Rs.300/head for a return trip, it’s more than just a cheap thrill. If you survive, soothe your frayed nerves at Dudhsagar Spa Resort, who also organize trips to the waterfall. Jet Airways flies to Dabolim Airport, Goa from where Kullem/Collem is about 65 km (6 km off Mollem on NH-4A/Goa-Belgaum highway). If you feel you didn’t do justice to mangoes this summer, make amends at Delhi’s International Mango Festival at Talkatora Stadium and Garden. Over two days, you can sample nearly 500 varieties from all over India, from classics like Alphonso, Banglora, Langda and Banganapalli, to hybrid varieties like Amrapali and Mallika. Also on offer are mango-based products and dishes, mango saplings for sale, mango-eating competition for women and music concerts. Trace the journey of the famed Assam tea from leaf to cup while staying at the fascinating Heritage Tea Bungalows around Jorhat. 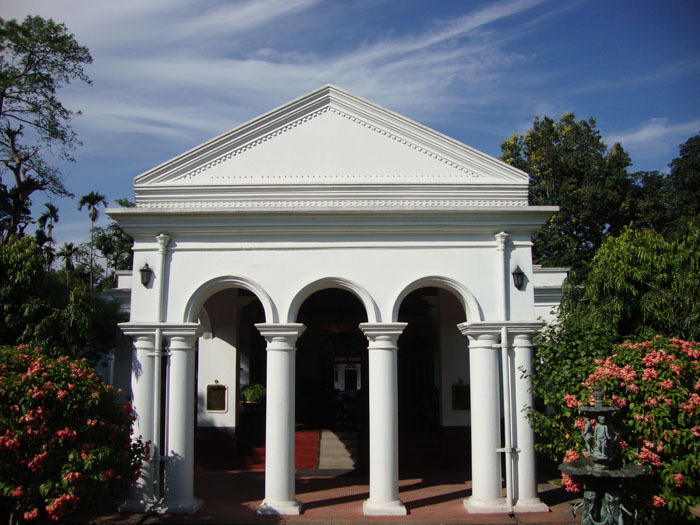 Choose from the luxuries of Thengal Manor at Jalukonibari with its tasteful interiors, to the colonial architecture of Burra Sahib’s Bungalow at Sangsua with a private lake and golf course, or the quiet charms of Banyan Grove (earlier the Mistry Sahib or Estate Manager’s Bungalow) with its looming old banyan tree. Visit the Gatoonga Tea Factory and learn the subtle art of tea-tasting from experts who fiercely guard their sensitive palate. If time permits, swing by at Gibbon’s Sanctuary nearby to see India’s only ape, the Hoolock Gibbon. When to go: Tea-picking season is on from April-October making it a good time to visit the tea estate and factories. The Hemis Festival is a great time to visit the monastery with Chham masked dances and traditional music ringing in the birth anniversary of Guru Padmasambhava. However, if you crave for extreme offbeat adventure, return to the region in winter for the Snow Leopard Trek. Using campsites and Himalayan homestays in Zingchen, Rumbak and Yurutse around Hemis National Park, Wild World India’s local guides help you track the elusive Snow Leopard or Grey Ghost of the Himalayas, besides urial (red sheep), bharal (blue sheep) and Tibetan argali (wild sheep). With two successful expeditions last winter, better reserve your seat now. When to go: The Hemis Festival is on 10-11 July, though the best time for the Snow Leopard Trek is October-March. Tug your way to salvation at the Puri Ratha Yatra. For anyone who pulls the chariots by the heavy rope is believed to attain great merit. Every year, the sacred idols of Lord Jagannath, his elder brother Balabhadra and younger sister Subhadra, are taken out in a grand slow-moving procession (thus, the origin of the word ‘juggernaut’). The 45-foot-high wooden chariots, each in specific colours, roll out from Puri’s Jagannath Temple to the Gundicha Temple 3 km away, where they remain for nine days. 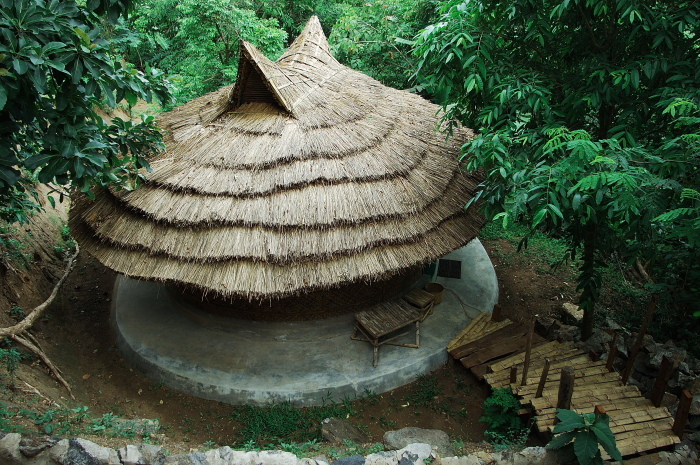 Once the ancestral home of the Kadathanadu royal family, Harivihar is perhaps Kerala’s only homestead to receive a Green Leaf accreditation for authentic Ayurveda. 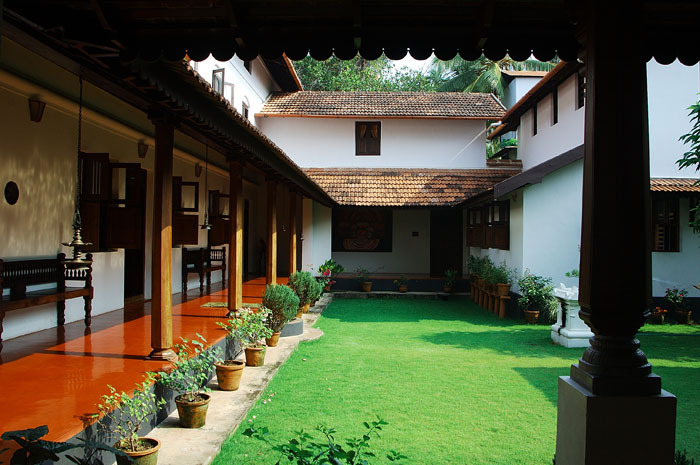 Red oxide floors, traditional Kerala architecture in burnished wood, an old bathing pond made out of laterite and unique culinary delights like drumstick leaves in coconut milk soup make Hari Vihar an intriguing experience. With Kerala cookery demonstrations and classes, yoga training by the acharya of Sivananda Yogasram and Ayurvedic treatments done under the aegis of Ayurveda Samajam Shoranur, rediscover a new you. Virasat Journeys’ heritage walks allow you access to the secret vaults in the dusty bylanes of Jaipur. Visit rare tantra temples, the ancient shrine of Sita Ramji that predates the city, the Sanghi Jutaram Jain temple with stunning kundan work, a family-run curio shop from the 1860s and Mr. Sharma’s fascinating museum housing over 1,25,000 manuscripts and other artefacts. Explore Ghee Walon ka Rasta, a street of gastronomic delights or walk down Hanuman Ka Rasta, a bustling alley of local craftsmen. Meet resident artisans, breakfast at Bagru Ki Haveli and visit monuments restored by the Jaipur Virasat Foundation. Guided by local experts, you have a choice of four trails – Temples & Havelis Walk, Modikhana Walk, Bazaars Cuisine & Crafts Walk and Amer Walk. Each year during the month of Shravan, nearly 10 million saffron-clad devotees converge at the tiny village of Sultanganj to collect holy water from the Ganga and walk 108 km to Deogarh before offering it to the Shiva linga at Baba Baidyanath temple. While many stop at makeshift inns along the spiritual highway, a special class of ‘express pilgrims’ called ‘Dak bam’ traverses the distance without stopping for food, drink or even a moment’s rest. Jharkhand Tourism organizes the Deogarh Mahotsav, a cultural program of music and local art forms in early July. When to go: The month-long mela is held in Shravan between amavasya (July 16) and purnima (August 13). Ever had breakfast in a palace after a leisurely morning walk? 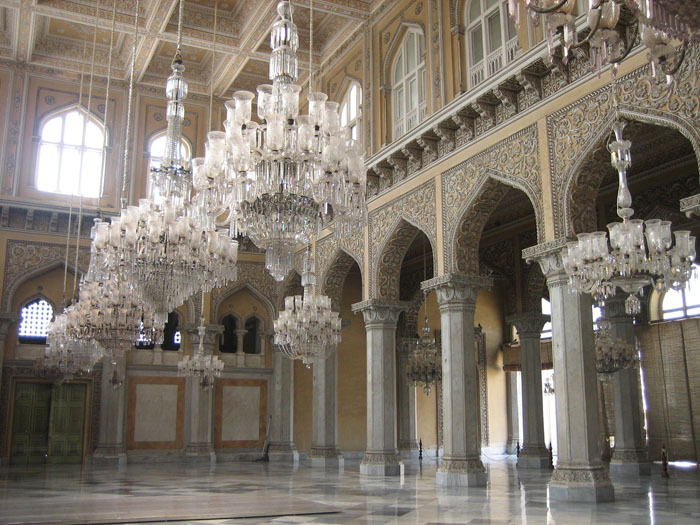 For a ticket of Rs.50 and a 3.5 km stroll you can capture the spirit of Nawabi culture reflected in the mirrored walls, delicate chandeliers and artefacts of the Chowmahalla Palace. A state tourism department initiative, the 90-minute heritage walk weaves past the vibrant Laad Bazaar to give glimpses of Hyderabad’s quintessential Nizam era. The city boasts a rich architectural trail – a Moorish mosque, buildings inspired from Isfahan, colonial structures and even a tomb for a French general (Mons Raymond). Relish Nizami cuisine at the renovated Taj Falaknuma Palace or the Marriott, overlooking the Hussain Sagar lake. When to go: The Amarnath yatra is in the month of Shravan between 29 June to 13 Aug, applications open in June. Jet Airways flies to Srinagar, from where Pahalgam is 96 km. The starting point of the trek, Chandanwari, is 16 km away. Imphal’s Khwairamband Bazaar rings out with the chatter of a thousand voices – cajoling, wheedling, bickering, each driving a hard bargain. What’s unique about the keithel (market) is that it is run exclusively by over 3000 imas (mothers), hence its popular name. Forget men, even young unmarried women are not given a toehold to run the stalls. Founded in late 16th century by Khagemba Maharaj of Manipur, the bazaar sells everything from vegetables, fruits, fish and farm produce to Manipuri handloom products. A few thousand imas also run the Lakshmi and New Market complexes nearby. George Harrison may have come and gone, but three decades later, you can still relive the Beatles legacy in India. In a small theme lodge in music-obsessed Darjeeling, you can check in to ‘John’, ‘Paul’, ‘George’, ‘Ringo’ or ‘Brian’, all rooms named after the Beatles. Run by Asenla and Vikash Pradhan, The Revolver is inspired from the Beatles’ seventh and most successful studio album. Relive the magic with TV shows, documentaries, feature films and live gigs screened at the restaurant that stirs up authentic Naga cuisine. Jet Airways flies to Bagdogra, from where Darjeeling is 94 km. If you skipped the WillKat wedding at Westminster Abbey, you can still keep your date with royalty at ‘The dining table of Parambikulam’ with Royal Bengal tigers. The Parambikulam Forest Department gives visitors a rare opportunity to participate in a full moon census. Geared with data sheets, binocs, trained tribal naturalists and an armed guard, you trudge 4km to your throne – a treetop machan in the grasslands of Anakkal Vayal. This exclusive package is available only 5 days a month (two days before and after the full moon night). You may opt for other equally exciting tours like Parambi cruise in bamboo house boats, Cochin Forest Tramway Trek and Veetikunnu Island Nest. Authors: Anurag Mallick & Priya Ganapathy. 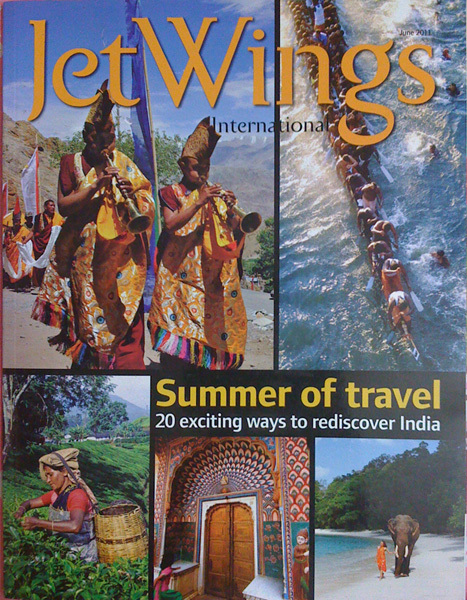 This article appeared as part of a cover story Summer of Travel in the June, 2011 issue of JetWings International magazine.